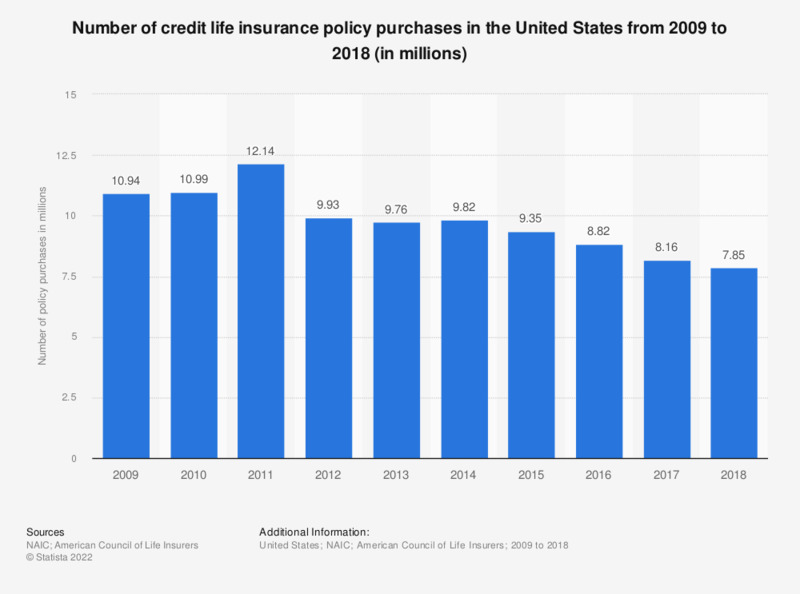 The statistic presents the number of credit life insurance policy purchases in the United States from 2009 to 2017. In 2017, approximately 8.16 million credit life insurance policies were purchased in the United States. Everything On "Life insurance in the United States" in One Document: Edited and Divided into Handy Chapters. Including Detailed References.